The Short Version: Some dating sites choose a niche to narrow down the dating field for singles, but VictoriaHearts.com has gone the other way, creating a diverse dating network spanning multiple countries. The premier dating site offers a safe space where singles can use credits to send messages and gifts to one another. All it takes to register is a valid email address, and then you can browse for matches and build connections with Russian and Ukrainian women on this mobile-friendly platform. VictoriaHearts uses the latest technology to bring thousands of people together and facilitate international relationships. If you’re interested in meeting new friends and love interests, you can join the site for free and start dating on a global scale. Back before the days of cellphones, email, and online dating, singles were pretty limited in who they could meet. If the love of your life didn’t live in your town or go to your school, you were pretty much out of luck. You couldn’t reach out to anyone anywhere and anytime you wanted, so you had to settle for the date prospects in your immediate vicinity. Every day, hundreds of single men and women sign up to VictoriaHearts, a global dating site. Thankfully, those days are long over now. Today’s singles have the power of the internet to connect them with romantic possibilities all over the world. Have you exhausted the single population in your neighborhood? No problem! You can simply widen your distance parameters and continue your search for a special someone in a neighboring city, state, or even country. VictoriaHearts is a dating site designed to help singles expand their dating horizons and meet people around the world without ever leaving their bedrooms. This international dating platform unites people based on personal compatibility and doesn’t let a small thing like distance impede romance. It’s free to join and see what the dating site is all about. Who knows? Someone special may just catch your eye. It doesn’t matter where you live or how old you are — singles of all sorts have joined VictoriaHearts and found engrossing conversations and worthwhile connections there. It won’t take you long to become a full-fledged member of VictoriaHearts. You can sign up for free by typing in your name, birthday, and valid email address. After confirming your email, the site will prompt you to fill out a personal questionnaire and upload a photo for your dating profile. No provocative photos are allowed on VictoriaHearts. The dating site is meant to facilitate real, heartfelt connections, not sexually explicit conversations and one-night stands. The team reviews every new picture to ensure everyone on the site represents themselves accurately and appropriately. Once you join VictoriaHearts, thousands of date prospects in Russia and the Ukraine are at your fingertips. All you have to do is put in your preferred search parameters and find them. Not sure what to do to connect with people online? VictoriaHearts has your back with helpful and specific online dating tips. This advice can help newcomers get started and feel comfortable navigating the dating site. VictoriaHearts provides a safe dating network for thousands of singles worldwide. While it is free to join, VictoriaHearts also employs a credit system to give paying members added value. Members can buy credits and spend them on premium services, including sending and receiving correspondence or sending virtual gifts. You can set up an automatic payment system to renew your credits whenever you run low — that way you don’t have to cut short a conversation while you enter your credit card information on the site. VictoriaHearts members can use credits to view private pictures and videos or exchange contact information with someone special. Naturally, singles can browse VictoriaHearts as long as they like without paying a cent, but, if they want to make a genuine connection with an international date, they’ll need to buy and use credits to send messages and tokens of affection. It’s important for international dating sites to build trust among users and make everyone feel comfortable chatting and opening their hearts online. 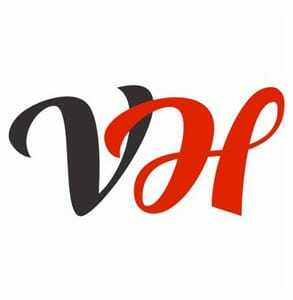 VictoriaHearts places much weight on customer security and provides many assurances throughout the site that it will protect its members from scammers and other online threats. VictoriaHearts has a 128-bit SSL encryption to protect its members’ private information. The site has partnered with online security experts at McAfee and Norton Security to ensure its site is a safe and friendly place to flirt and fall in love. Of course, identity theft isn’t the only threat facing online daters, and dating sites have to stay vigilant to keep members from falling prey to online scams. The VictoriaHearts Community Guidelines ensure members stay on the straight and narrow — or they’ll no longer be welcome on the platform. The site has a zero-tolerance policy when it comes to bullying, stalking, harassing, or otherwise harming other members. Anyone who violates the community guidelines by posting inappropriate content or behaving in an unsavory way will be banned from the dating site. Over the last few years, VictoriaHearts has endeavored to make online dating an easier and more fun experience for singles around the world. This dating site has fostered a growing community of romantic individuals who can meet and fall in love despite living across oceans from one another. Whether you’re looking for a pen pal or a life partner, VictoriaHearts can introduce you to plenty of worthwhile candidates in Russia and the Ukraine. The friendly support team is available 24/7 to answer questions and keep members safe as they mingle online. By putting users first, VictoriaHearts has created a secure dating environment where thousands of singles can build romantic connections no matter where they live.